Children and cars can sometimes be a hassle, and installing children’s car seats isn’t always easy. That’s why the Chautauqua Children’s Safety Education Village in Ashville provides parents with training to install the seats, which is why Terri Kindberg, executive director of the safety village, requested Ed Shults III from Shults Management Company to look into acquiring a normal car seat for children’s car seat installation training at UPMC Chautauqua. Shults reached out to a friend of his, Scott Fenton, to see if he would be interested in donating the seats. He more than met the request with his company, Fenton Mobility, providing two custom-built sets of two car seats for use during training. 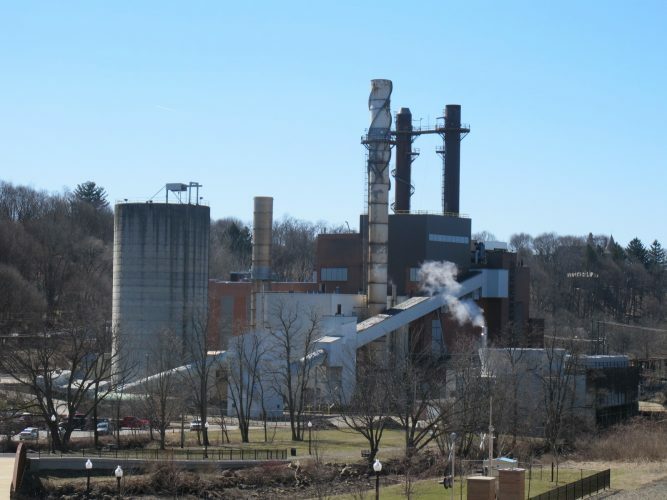 “We understand safety because we deal with federal safety standards on a daily basis, so being able to help the community is important to our team and our ownership,” Fenton said. Fenton’s Randolph-based company provides AbiliTrax technology, a transportation service manufactured with handicapped riders in mind. AbiliTrax vehicle seating is designed as a rail system that lets seats easily lock in and out of place. As such, the seats can be set up in different configurations in a vehicle or removed entirely. The ability for seats to be removed entirely made AbiliTrax seating a great fit for the safety village’s training. The donated car seats are also modern, making installing the children’s car seats relevant to parents who own newer vehicles. One set of seats went to UPMC Chautauqua for training during child birth classes where staff will instruct expecting parents how to put an infant in its car seat and how to buckle them properly. The other set of seats were sent to the safety village for traffic safety classes where demonstrations for car seat checks will be conducted. “We’re now a permanent fitting station to do car seat checks,” Kindberg said. Shults said he was passionate about getting the safety village connected with Fenton Mobility because he has two children: a 2-year-old and a 6-year-old. He remembered going through car seat training and wanted to make it simpler and safer for future parents. “(Fenton Mobility) surprised us by building two seats,” Shults said. 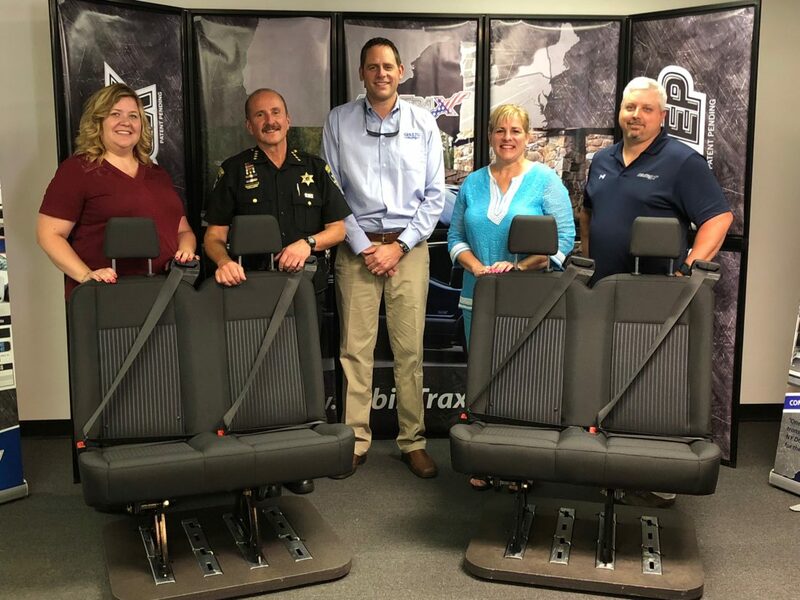 Fenton, Shults, Kindberg, Chautauqua County Sheriff Joseph Gerace and Jessica Dayton, associate director of the safety village, all attended the presentation of the seats earlier this month at Fenton Mobility. Kindberg and Dayton are both certified technicians to install children’s seats and make sure parents’ training goes smoothly. 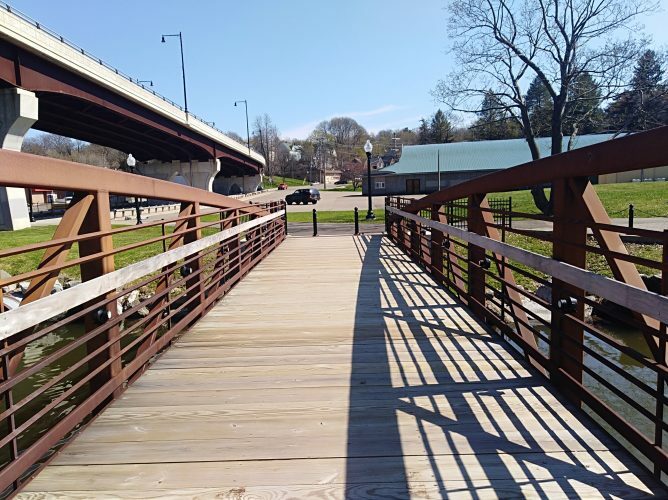 “It’s a big safety thing for all the kids in the community,” Kindberg said. The safety village expressed their gratitude to Shults and Fenton along with the governor’s traffic safety committee that provides the children’s car seats for installation. 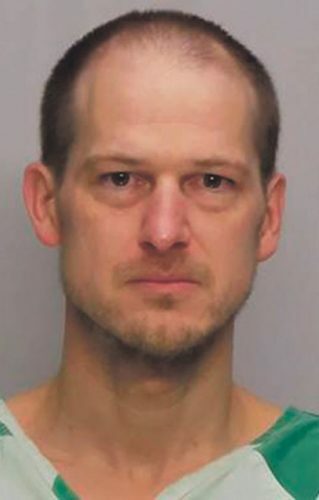 Shults said he was glad Kindberg reached out to him, and Fenton was also pleased to help.